Mutual funds can be compared with Indian cuisine for its diversity. Just like the sensory experience of Indian food changes with every region, the efficacy of a mutual fund differs from person to person. Let’s take the example of sambhar and dal. While both are essentially lentils, the spices, the flavours and the taste are vastly different. It’s no different with mutual funds. While equity and debt mutual funds are essentially the same, its risk profile and return potential are at opposite ends of the spectrum. Each fund serves a different purpose. 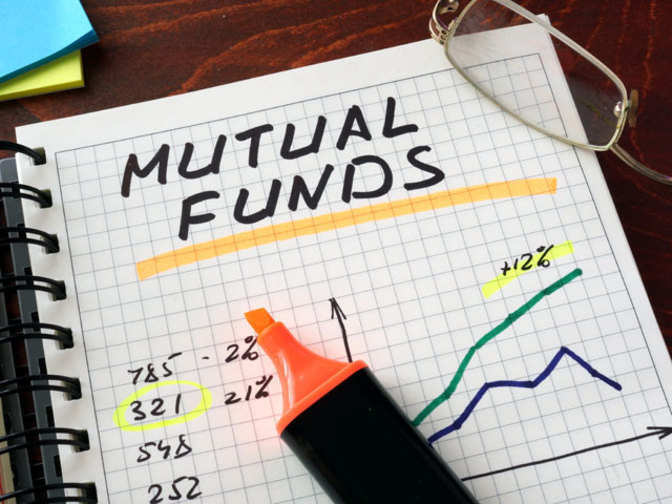 So, read on to know more about the different types of mutual funds available in the market. Risk/return potential: These have the potential to earn high returns but there is a certain risk to it as these funds are linked to stock market performance. Meant for: Investors with a long-term investment horizon. That’s because equity funds have generally provided high returns over the long-term. What are they? : These funds invest in debt-oriented instruments such as government securities, company debentures, fixed income assets and money market instruments. Risk/return potential: These funds may provide lower returns when compared to equity funds but are considered relatively safe. However, these funds have the potential to provide higher returns than fixed deposit and savings account. What are they? : These are funds that invest in a mix of equity and debt instruments. Risk/ Return potential: These funds provide the best of both worlds. They are considered to generally safer than equity fund and, at the same time, have the potential to provide higher returns than debt fund. Meant for: Investors looking to diversify risks. What are they? : These funds invest in stocks of large, well-identified companies with a solid track record. Some of the large-cap companies are Reliance and Tata. Objective: To provide long-term capital appreciation. Risk/return potential: They can provide good returns and are the not very risky compared to other types of equity funds. What are these? : These funds invest in medium-sized companies that have the potential to become a large-cap company in future. Some of the mid-cap companies are Apollo Tyres and Bata. Objective: To help build your wealth in the long run. Risk/return potential: Slightly riskier than large-cap funds as these companies are yet to realise their full potential and may be susceptible to risks. However, they have the potential to provide high returns over the long-term. Meant for: Investors with a medium risk profile and those seeking growth opportunities over the long-term. What are they? : These funds invest in stocks of small companies. These are companies that haven’t or are yet to make a mark in the public domain. Risk/return potential: Can be highly risky since the money is invested in relatively unknown companies. However, they can deliver high returns. Meant for: Investors with a high-risk profile. There are equity funds based on diversification. What are they? : These funds invest in a particular sector, say automobiles or IT sector. Risk/return potential– High-risk because returns depend on the performance of that particular sector. What are they? : These funds invest across large-cap, mid-cap and small-cap companies. Risk/return potential: Less risky as they offer diversification among sectors and market capitalisation. They have the potential to offer high returns over the long-term. Meant for: Investors with a moderate risk appetite. There is a type of diversified equity funds that help you earn returns and save tax. What are these? : These are essentially diversified equity funds with a mandatory lock-in period of three years. They offer tax planning benefits under Section 80 C of the Income Tax Act. Risk/return potential: They can provide high returns in the long term. The government may have introduced a long-term capital gains tax of 10%, but these schemes still allow you to get tax deduction up to Rs 1.5 lakh every year. Meant for: Beginners looking to invest in equity and get tax benefits. What are they? : These funds are invested in money market instruments (debt instruments that have a tenure of a few days only) and are highly liquid in nature. Risk/return potential: Low risk, consistent income over short-term. Meant for: Investors looking to park funds for a short time. What are they? : These invest in debt securities with a horizon of one to three years. Ultra-short term funds invest in securities that do not exceed a year. Risk/return potential: Low risk and provides commensurate returns over the short-term. What are they? : These funds invest in a mix of corporate bonds, money market instruments and government securities. Risk/return potential: Vulnerable to interest rate risk but has the potential to generate high returns on a falling interest rate cycle. Meant for: Investors with an investment horizon that lasts for a one or more interest rate cycles. What are they? : These invest in debt and money market instruments with varying maturities. Risk/return potential: Moderately risky, can offer decent returns. Meant for: Investors seeking to earn money over the medium-term. To sum up, mutual funds may seem complex at first, but scratch the surface and you’ll realise there is a variety because different people have different financial requirements.